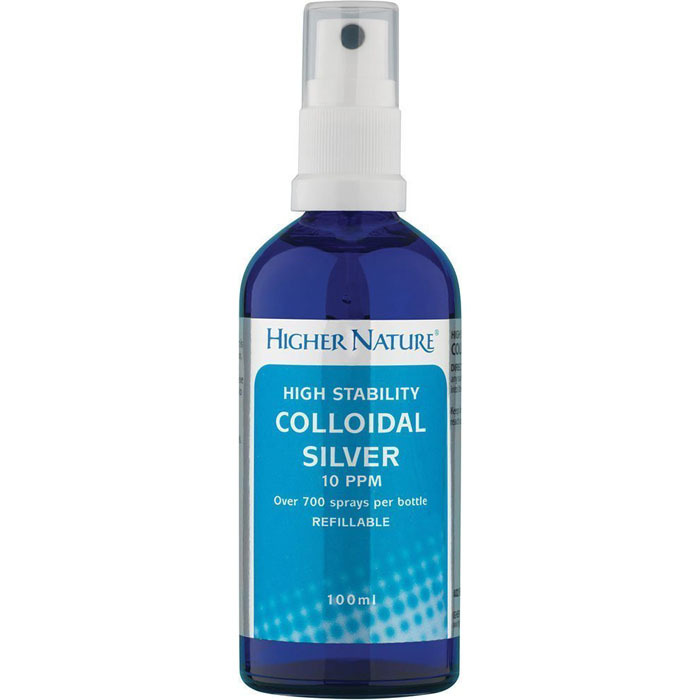 Higher Nature Colloidal Silver 100ml. ContainingÂ 99.99% Pure Silver & withÂ 9 stage purified water. Can help treat a wide range of infections and conditions. Used to help prevent flu and the common cold. SKU: 1002. Categories: Anti Viral, Supplements. 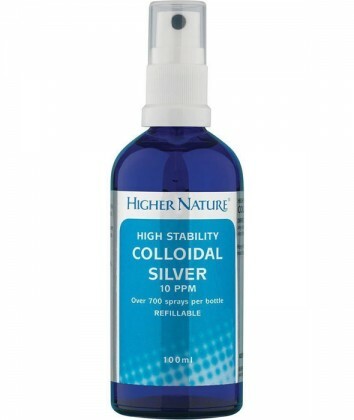 Colloidal silver containing 99.99% pure silver and 9 stage purified water. Treat a wide range of infections and conditions. Gluten free, yeast free, wheat free, sugar free, soya free, dairy free, corn free. Can be used round the home, on any surface and sprayed into the air. Always read the full instructions provided before using, if unsure please consult your GP.